Rated 5 out of 5 by consuela from Victorian Mysteries: The Yellow Room I really liked this game . I loved the voice overs and I thought the graphics were good. Perhaps not the most challenging to some, but a great game to play on a rainy night when you just want to relax. I bought this game and recommend it to those who like a good old fashioned mystery. Rated 5 out of 5 by mycatluna from My love for Everything French came Rushing Back at me. I LOVE THIS GAME! Not much of a review, but that's how I feel. I do not care one bit that there is no hint button. Back in the old-school adventure game days (and I'm only 32) there were few walk-throughs to be had-so you had to get the brain working and figure things out on your own. With this game, I had to put on my thinking cap a few times but that made the game more interesting to me. Everything follows a logical pattern. So if you get stuck, actually imagine that you ARE the detective that's there...and what would YOU do next? This strategy worked well for me. I adore the French accents, but French is my second language so I was pleased to play a game that had something besides the typical American voice-acting. I did see some gripes about this (I honestly don't know why) but it adds depth to the story-it would not have been as believable if everyone talked without an accent during a game set in early France. This game does NOT hold your hand. You are a detective, meant to collect and photograph evidence, interview characters and eventually solve the mystery. Too often in games, the developer does most of the thinking for us, but not in this game. We are often left to our own creative devices--I have been having a hoot playing through this and I long for more detective story games to SOLVE much along the same lines as this one. Graphics are crisp and clear; hidden object scenes and puzzles are spaced out well and not over-used. The story is brilliant and flows smoothly (I was also intrigued that it was based on a book that I will now have to find and read). Another perk about the story is that it is NOT the same old formula that players are getting sick of. It's not predictable and it IS unique--it's what we've been wishing and waiting for! Don't let the "no hint button" scare you away. Put on your Sherlock Holmes outfit and play with confidence-you will figure it out! A must buy, and I am positive it will be added to my favorites-rarely do I give out 5 stars. As for length: I've been playing these types of games for several years, both PC and console gamer- so I consider myself an expert-I'm not finished yet, only a little less than 1/2 way through, and I've spent at least two hours, if not more. I read everything (newspaper clippings, etc) and often take a look at the evidence gathered so far, so I thoroughly read the journal. If I were to guess, for me this game should run, for an expert player who takes their time, at least 5 hours to complete. And the journal is well done also. I like the concept of 'tabbed' journals where you can go to see specific things: Evidence collected, Character Bios, Story, etc. The task list is kept separate as well but is also imbedded in the map, which is also done well and should help anyone who might get stuck. It shows you were you need to go and for what (evidence, puzzle or hidden object scene). A lot of detail went into the small things, and that adds up to many great things. Worth a free game coupon at the very least, but well worth paying full price for, IMO. Happy gaming and I hope to see more games like this! (Hint, Hint developers)! Rated 5 out of 5 by patcard from The Best for quite some time This game has all I like in a game./ good story /grafics/ HOS are not difficult yet not easy /you travel but not steady clicking /a map.It is a murder mystery but not gory.Some players dont like " snakes" (myself too )there are peices of 3 but hardly notice them.I had a very hard time when I couldnt continue playing for personal reasons. Rated 5 out of 5 by Jossele from Excellent game! Bought it, before the demo was over. This is going to be one of my favourite games of 2012! I especially loved the logic in finding out what to do next. Just brilliant! Rated 5 out of 5 by xedster from What a Beautiful Game! I loved the graphics, which are absolutely beautiful and work so well with the time period. They are somewhat darker than normal but that's okay, it was perfectly easy to see everything needed. I moved from scene to scene without a hitch, and the hidden objects, though a bit more difficult to find than usual, were somewhat different than the usual fare--for example, the standard hidden crowbar was missing, at least in the demo.. How can that be? lol Amazingly, I survived without a crowbar. This game is worth a buy for the graphics/scenery along and it is worth the time spent playing it. Very well done developers! Rated 5 out of 5 by sportygal2009 from Very Enthralling Game - Loved It This review is based on the whole game playing in hard mode. * A mystery HOPA game (hidden object puzzle adventure) * 5 chapters * 2 modes of play: Easy/Hard * Hard mode has sparkles just for the HO scenes. * Hint/Skip take at least a couple of minutes. Very slow. * Hint is only available for the HO scenes. * Journal which you take pictures. Also has tabs for evidence, characters, and story. * Map shows your present location, areas of interest: evidence, needs investigating, HO scenes, and completed areas. You can't use it to travel back/forth locations however. * Also shows list of task(s) that need to be completed. * Graphics: Characters look very realistic and also has several cut scenes throughout the game. * Voice overs for all the characters but your own. My overall impression of the game: Well I really loved this game. Very enthralling story/mystery. I was hooked to this right from the get go and held my interest to the very end. I did not stop playing this until I got to the end. This game is kinda on the lines of an Agatha Christie or Sherlock Holmes type of story in my opinion. The graphics right along with the cut scenes I found to be very well done. Also the voice overs. I found this game to have more "adventure" to it than HO scenes cause there is a lot of traveling back/forth. Adventure side the usual standard fare of inventory items. While this game didn't have a hint button in regards to where to go/do next I did find the map pretty helpful but i will admit I did get hung up at the end of chapter 3 so used the walk through for just that one part only. Other than that I had no problems. I did have to think a bit on where to go/do next but far from frustrating. HO scenes I found to be very well done. Only had to use a couple of hints. Majority pretty ease to locate. Puzzles I found pretty easy: Putting together pieces of letters, gears, hit in right sequence, match/move circle rings. Also a slider puzzle. I only skipped one puzzle. As for game length: I was quite surprised I got through this in 3 1/2 hours. That's rare for me since I'm a slow game player. I take my time. I found this to be long enough for me however as the game seemed longer than that so no complaint about the game length. Overall, I give this 5 stars. While I did get hung up on one part of the game I overall found this to be a pretty relaxing and a fun game. Thanks Big Fish and developer for an excellent game here. Rated 5 out of 5 by crazy8club from Thank you BFG and Developers I found the game exciting and fun to play. I had to start over because I forgot to get one of the apples that was in a (spoiler) photo (top left) of the ticket booth. So make sure you do not miss anything or you will have to start over. There was a lot of running around so the walk through was helpful in certain ways. The color, graphics,visual and sound were okay. The music I turned down way low. The HOS were easy enough, and some of the mini games were a challenge. The true identity of the killer was revealed and an innocent man was released. In the mountain scene I wish their had been a little action with the beastie. Doing the game was a good way to spend the day. I leave the purchasing of the game up to the individual player. Happy gaming everyone. Thank You BFG and developers for another excellent adventure mystery game. Rated 5 out of 5 by cathyok from well done game Like their other games you have to really explore each scene completly. The other thing to remember is to think out of the box such as when you need a screwdriver think of what else could be used. I have 3 of their games and find this latest to be just as well done. Hope people will give it a try even if there is only a hint button on the HO puzzles because you do get help from the map and the task list. Rated 5 out of 5 by gammie0425 from I bought it I love the story line and the graphics. Everyone is complaining about no hint button. Try the map, that tells you where you need to go, it's pretty easy to follow. I bought it after only 20 minutes of trying the trial. Rated 5 out of 5 by Bogey_2006 from great game so far Great graphics, clear storyline...particularly liked the HOS, but as soon as you get the car fixed the demo is over. had 25 mins of my hour left...so am worried the overall game will be short as well...otherwise recommend at least playing the demo and deciding for yourself. Don't be fooled, it isn't necessary to use the walkthrough - at least not for the demo. Rated 5 out of 5 by Nana26girls from Better than any other game! This game is a pleasant surprise, it is fun, has wonderful graphics and challenging at a non exclusive price. Thank you Big Fish! 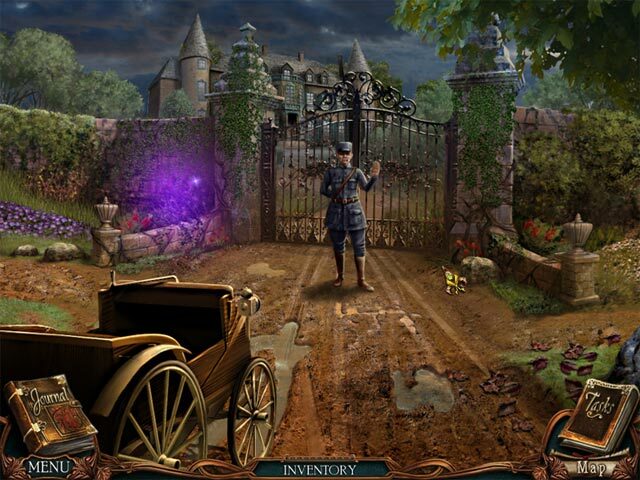 Rated 4 out of 5 by DundeeKat from Fun Hidden Object Game I really liked the story line of this game as I like Mysteries. The thing I did not like was there was no hints except in the Hidden Object scenes which made the game a bit more difficult. Rated 4 out of 5 by Hollyninelives from Pretty Good I played about 50 minutes of the free trial, and like this game, though I'm not sure I'll purchase it yet. It was a nice game, but it didn't bowl me over. It was a bit predictable and there wasn't much excitement to the story. Though it opens with a gunshot and a women screaming, it didn't pick up much after that. Almost a letdown, though if I had the opportunity to play longer it may have gotten more interesting. The graphics are very good and the challenge is OK. There is no hint button, outside of the HOs, but the cursor and your gamer instincts more than make up for that. I recommend trying the free trial to see if this games for you. Rated 4 out of 5 by tutortime from Enjoyable Game I also played VM Woman in White and found them similar. A good game to use credits on. The games were easy, but enjoyable. Rated 4 out of 5 by Plientje from very fun whodunnit story just finished playing this game. It's a nice murder mystery. There are VOS for everyone but yourself, and nicely done, all with a 'french' accent, which made it kind of fun. This is obviously an older game, as you can see by the graphics and the HOS style. but the HOS are still quite challenging, as well as some of the puzzles. Nice variation in puzzles too. HOS not too many. Beautiful classic music. The game flows really good and is very intuitive. Some, but not too much back and forth. There is a map that shows where there is something to do, but it does not teleport. I had a lot of fun playing this game and trying to determine who was the bad guy. Great game for a lazy afternoon! Hope you'll enjoy it too! Rated 4 out of 5 by Anidea from A Fun Game! I was suprised by the number of reviews giving this poorer marks. I found it really fun and a good storyline. The only part that was not so hot was the ending. Too abrupt and also as though they ran out of time and wound it up without a convincing conclusion. However, it piqued my curiosity enough to try the previous Victorian Mystery game....going to play it now and see what I think. 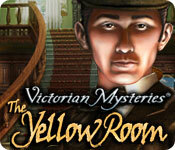 Rated 4 out of 5 by Foxylocks1 from +Victorian Mysteries: The Yellow Room The plot was good. The puzzles were varied and challenging. Overall, it was a fun and interesting game. Rated 4 out of 5 by Mrs_Kim from Nice game! From all other Freeze Tag games, I think this one is the best, although I see there is no hint button and I have to check the walkthrough several times. There is a map but not interactive. Skip button is super slow in charging, which is really a pain. But the game is nice, good voice overs although sometimes a bit cheesy, nice music, good scene and graphic (very France!) and nice storyline. Not sure about the ending, I don't really get it. But a good game nonetheless. I spent around 3 hours playing it, the second and third chapters were the longest and the last two chapters were finished in just 30 minutes. If you would like to buy this game, I suggest you to try the demo first and judge it from there. Rated 4 out of 5 by tessa123123 from Nicely paced game with neat puzzles - very do-able without much help. You jog merrily along in this entertaining mix of HO, puzzles and adventure. You get a hint button in the HO scenes, but nothing to help you out in the main adventure, apart from "There is nothing more to do here" message. The only help you have is a map indicating certain points to follow, but where there are none, you just have to keep searching each scene until some more action happens which will trigger more HO scenes and the plot goes forward once more. A bit of a meek ending, but some nice puzzles to occupy you with. Rated 4 out of 5 by Dragmire from good for a standard game i had to use the bfg WT a lot. not a problem. it was worth the effort. Rated 4 out of 5 by Najia7 from Definately under-rated. Challenging! A short, but challenging game. You have to figure out who attacked a woman locked inside a yellow room. The guilty party was a surprise and I still can’t figure out how they reached such a conclusion, but it’s based on a novel so perhaps a clue was in the book and forgotten in the game. I thought it was someone completely different simply because one of the many letters you must piece together. 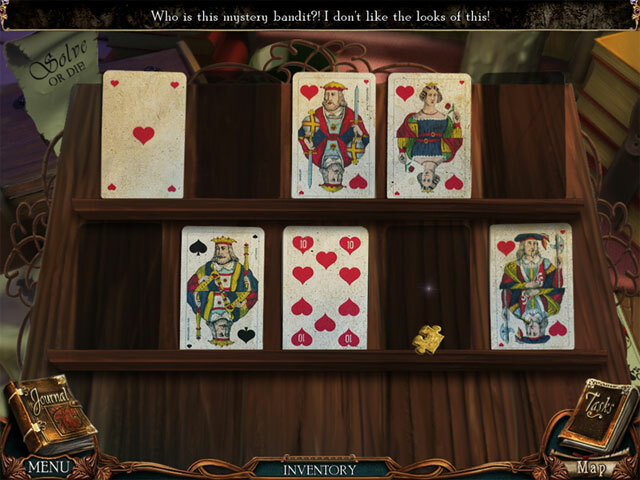 Hint works only on hidden object scenes, you get no idea of what to really do next. The hint recharges slowly. Use the map, it at least gives you a clue, although it doesn’t always show hidden object scenes. In one of the beginning scenes, you have to put together something long enough to reach the box on the right path, you must use the carriage in front of the gate. That took me a while to figure out. The voices aren’t very loud, so you’ll probably have to use headphones, speakers or just read quickly (the accents are pretty strong at times so reading helps anyway). I liked it and would recommend it. Rated 4 out of 5 by aleta59 from Good game As the photographer, you have to document the activities of a newspaper reporter and a master detective who are competing to solve the mystery of who the attacker was and how he escaped. Great story and nice graphics. Good puzzles. Great characters with VOS. Long skip button in games. Hints only in HOS, which were interactive, but junkpiles and not very clear. Only gets a 4 as the voices were really low, even on the highest volume. Casual play: 4 1/2 hours. Rated 4 out of 5 by Boomer1097 from Fun Mystery This game is entertaining. There are voice overs for the characters and cut scenes to keep the story moving. The graphics and sound are good. The music is pleasant. The hint button only works in HOS, but you don't really need it. The map provides a lot of clues when you're trying to figure out where to go next. The mini games were fun, but not too difficult. You are a photographer accompanying a journalist, so you get to take lots of pictures, which is fun. The journal is broken into several sections and comes in handy. There were some minor annoyances with the game play. A couple of times I had to exit the game and go back into it to get items from inventory to cooperate. I also had some trouble getting one of the mini games to work properly, but it finally cooperated. I would recommend this game to those folks who like a mixture of adventure and HOGs. This is some of both. Rated 4 out of 5 by heatherneeny from Very fun game! I played this game on expert mode, and found it to be fun and challenging. I estimate that I played for 8-10 hours, so I thought it was a good value. 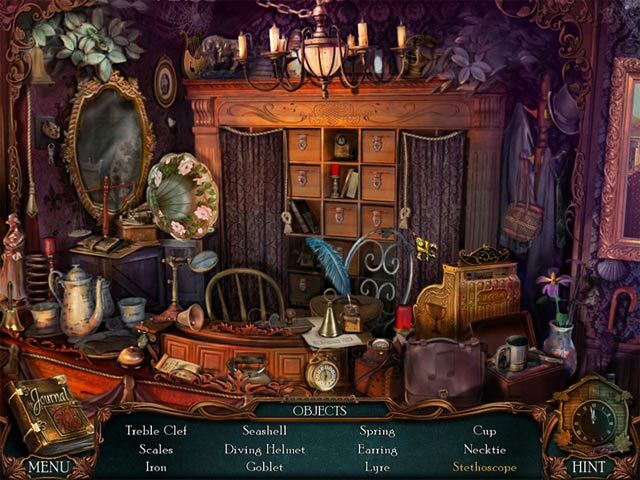 The hidden object scenes were well done, not too difficult but enough of a challenge to be interesting. The clues and items were straightforward and the graphics were great. I used hints a few times to help me find the last item. The puzzles were fun and a good challenge-I only skipped one that I couldn't figure out. The story was good, although a glitch towards the end skipped all but the first line of dialogue, so I had trouble a few times figuring out what to do next. While the map feature was quite helpful for the most part, at times I had trouble figuring out where to go. For instance, the map showed that I had found all of the clues in an area, but the walkthrough (on big fish games website) showed me where I had missed breaking open a barrel for a clue. This is one of the better HOG that I have played with Big Fish Games, and I definitely recommend it! Rated 4 out of 5 by hodgepodgespv from good fun this i like a good mystery and did not figure it out until the very end when all the pieces were put together. for the most part, i did not have to use the walk thru but there were time when the map was just no help at all! but at others, it was grand. i like the art work but the sound was...ok. the problems came when all the places on the map were checked off. that is when i had to resort to the walk thru. i love mysteries so enjoyed the story line although it could have been a bit fuller. i did have some problems with a couple of the mini games which could have been helped with a wee bit more instruction. Rated 4 out of 5 by jmalkhovec from Exciting Hidden Object Game The main thing I like about the game is that it has a logical sequence. I just finished the demo & I'm downloading the game. The hour went by really quick. You see that you need a wrench & then you quickly find a wrench.